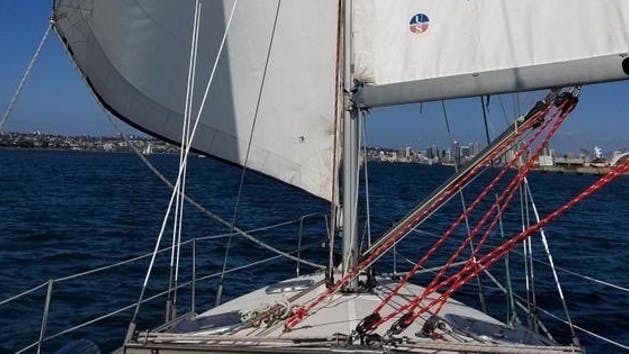 The American Sailing Association's Basic Coastal Cruising Course (ASA 103) is a two-day course going from 9-5 both days. Sailors must cruise safely in local and regional waters as both skipper and crew on an auxiliary powered sailboat. Description: Students upon completion will be able to skipper a sloop-rigged auxiliary powered (inboard or outboard engine) keelboat of approximately 25 to 35 feet length by day in moderate winds and sea conditions. Knowledge of cruising sailboat terminology, basic boat systems, auxiliary engine operation, docking procedures, intermediate sail trim, navigation rules, basic coastal navigation, anchoring, weather interpretation, safety and seamanship.